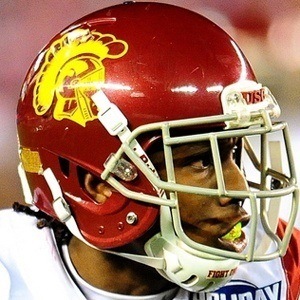 Explosive return specialist and cornerback out of the University of Southern California who was drafted in the 1st round of the 2017 NFL draft by the Tennessee Titans. He was the 2nd 1st round selection by the team in 2017 after they selected Corey Davis 5th overall. He attended Belleville East High School in Illinois for his freshman year before moving to California and attending Junípero Serra High School. He was a 5-star recruit out of high school where he played the positions of wide receiver, running back, defensive back and return specialist. He won the 2016 Jim Thorpe Award as college football's top defensive back. During his college career, he was also an accomplished outdoor track and field long jumper. He was born to parents Vianca and Christopher Jackson. He has older siblings named Lekisch and Christopher. He joined a Tennessee Titans roster that was quarterbacked by Marcus Mariota.